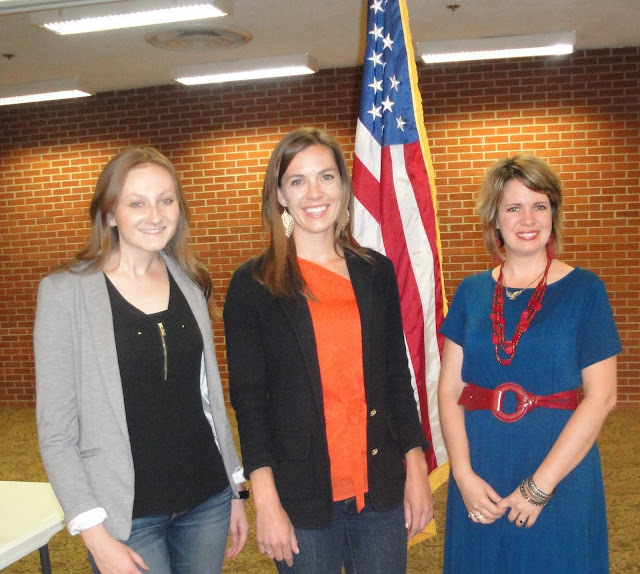 Pictured left to right: Speakers Marina Mehaffie and Jena Powell, and BPW Secretary Sonya Crist. Greenville, OH June 20, 2018 – The 2018-2019 Greenville Business & Professional Women’s Club (BPW) Officers hosted the June 14th meeting at the Brethren Retirement Community Brick Room. They are President Peggy Foutz, Vice President Kasey Christian, Secretary Sonya Crist, Treasurer Dorothy Poeppelman and Assistant Treasurer Susan Shields. Secretary Sonya Crist introduced the speaker Jena Powell who is a young entrepreneur that started her first business at the age of 17. Jena spoke of her journey to Rome with her siblings and how she met a man named Peter that changed her life when he talked about the United States being the land of opportunity and asking her to help him find a job in America. When she was a young girl she always wanted to be a ‘business’ woman. Powell graduated from Liberty University and is now a Darke County resident and vice president of sales and marketing for “Huntington Outdoor’, a billboard business with their office located on Broadway in downtown Greenville. They service over 300 billboards in Ohio and Indiana. Jena has a passion for small business, non-profits, and community and won the primary for the Ohio 80th House District Representative last May. Jena introduced the company’s intern Marina Mehaffie who talked about her role at Huntington Outdoor by writing articles about the company and interacting with social media. Marina agrees with Jena on the quotation, “you have to want the opportunity and continue to challenge yourself” to be a success. Both Jena and Marina are working on how they can keep the next generation in Darke County! The Greenville BPW Club’s mission is to achieve equity for all women in the workplace through advocacy, education, and information. The Club holds fundraisers through the year to raise money to grant scholarships to the young women of Darke County. The Club meets the second Thursday of every month for a dinner meeting. Those interested in learning more about the Club can contact Membership Chair Sonya Crist at sonyacrist@gmail.com or through 937/423-3657.